In the Principles and Standards of School Mathematics the National Council of Teachers of Mathematics (NCTM) identified the “Technology Principle” as one of six principles of high quality mathematics education (NCTM, 2000). This principle states: “Technology is essential in teaching and learning mathematics; it influences the mathematics that is taught and enhances students' learning” (p. 24). There is widespread agreement that mathematics teachers, not technological tools, are the key change agents to bringing about reform in mathematics teaching with technology (Kaput, 1992; NCTM 1991, 2000). Yet, preparing teachers to use technology appropriately is a complex task for teacher educators (Mergendoller, 1994). Waits and Demana (2000) argue that adoption of technology by teachers requires professional development that focuses on both conceptual and pedagogical issues, ongoing support in terms of “intensive start-up assistance and regular follow-up activities” and a desire to change from within the profession (p. 53). In addition, studies of teachers' implementation of educational technology document that at least three to five years are needed for teachers to become competent and confident in teaching with technology (Dwyer, Ringstaff, & Sandholtz, 1991; Means & Olson, 1994). Stohl Drier, H., Harper, S., Timmerman, M.A., Garofalo, J. & Shockey, T. (2000). Promoting Appropriate Uses of Technology in Mathematics Teacher Preparation. 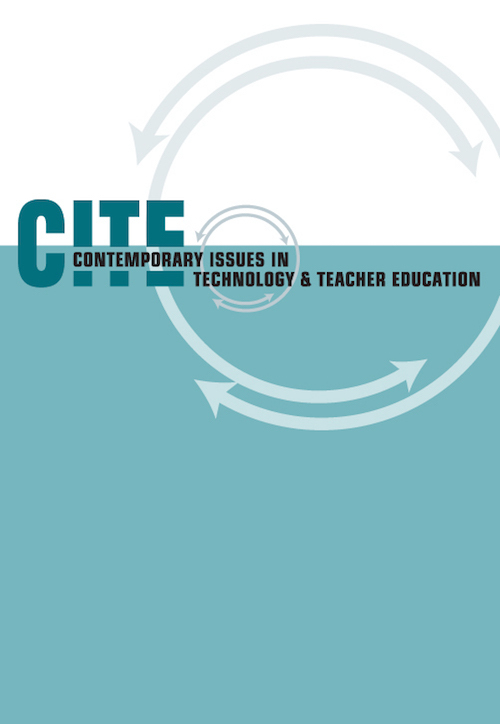 Contemporary Issues in Technology and Teacher Education, 1 (1), 66-88. Charlottesville, VA: Society for Information Technology & Teacher Education. Retrieved April 22, 2019 from https://www.learntechlib.org/primary/p/10804/. Dwyer, D.C., Ringstaff, C., & Sandholtz, J.H. (1991). Changes in teachers' beliefs andpractices in technology-rich classrooms. Educational Leadership, 48(8), 45-52. Garofalo, J., Shockey, T., Harper, S., & Drier, H. (1999). The Impact project at Virginia: Promoting appropriate uses of technology in mathematics teaching. Virginia Mathematics Teacher, 25(2), 14-15. Goldenberg, E.P. (1988). Mathematics, metaphors, and human factors: Mathematical, technical, and pedagogical challenges in the educational use of graphical representations. Journal of Mathematical Behavior, 7, 135-173. Jackiw, N. (1997). The Geometer's Sketchpad, Version 3.1. Berkeley, CA: Key Curriculum Press. Jiang, Z., & McClintock, E. (2000). Multiple approaches to problem solving and the use of technology. Journal of Computers in Mathematics and Science Teaching, 19(1), 7-20. Research on mathematics teaching and learning (pp. 515-556). New York:Macmillan. Kerslake, D. (1977). The understanding of graphs. Mathematics in School, 6(2), 56-63. Leinhardt, G., Zaslavsky, O., & Stein, M.K. (1990). Functions, graphs, and graphing: Tasks, learning and teaching. Review of Educational Research, 60(1), 1-64. Logo Computer Systems Inc. (1997). MicroWorlds, Version 2.0. Montreal, CA: Author. Means, B., & Olson., K. (1994). Tomorrow's schools: Technology and reform in partnership. In B. Means (Ed. ), Technology and the education reform (pp. 191-222). San Francisco: Jossey-Bass. Mergendoller, J.R. (1994). The Curry School of Education, University of Virginia. In Exemplary approaches to training teachers to use technology, vol. 1: Case studies (pp. 4.1-4.24). Novato, CA: Beryl Buck Institute for Education. Microsoft Corporation (2000). Microsoft Excel 2000. Redmond, WA: Author. Neuwirth, E. (1995). Correlation visualized. Http://sunsite.univie.ac.at/Spreadsite/statexamp. Schoenfeld, A. (1985). Mathematical problem solving. New York: Academic Press. Waits, B.K., & Demana, F. (2000). Calculators in mathematics teaching and learning: Past, present, and future. In M. J. Burke and F. R. Curcio (Eds. ), Learning mathematics for a new century (pp. 51-66). Reston, VA: National Council of Teachers of Mathematics. Vonder Embse, C. (1997). Visualizing least-square lines of best fit. The Mathematics Teacher, 90(5), 404-408.